The latest Media Create charts are out (Oct. 1 through Oct. 7th) and it looks like Mega Man 11 is off to a lukewarm start in Japan. Based on three days of data (remember, the game launched in Japan on Oct. 4), the Nintendo Switch version debuted at #4 with 14,650 units followed by the PlayStation 4 version at #7 at 12,052 units. Together that's 26,702 units. As a reminder, Media Create only only tracks physical games sold in-store retail. We do not have any concrete data on digital sales at this time. If early indicators are to be believed, however, the game looks to be doing better on the eShop and Steam. I'm curious about all this. Not surprised the Switch version sold better. How does this line up with the launch weeks of other Mega Man games in the region? I guess it's hard to tell without digital sales. But I wonder what those would be like for a game like this. Mega Man 9 was digital only and sold beyond what Capcom expected it to, but we don't know any concrete numbers beyond that. I'm also curious about how the game was promoted over there. Welp see you for Mega Man 12 in 2027 then. Yikes... Let's hope digital sales fared better. Another Brazilian Rockman lover, yeah! To be fair, lask week was pretty tough space for Mega man 11 since other well known games like Super Mario Party and Assassin Creed: Odyssey was coming out. Though I hope digital sales did better than physical one. While that's true, there also isn't much room for the legs of this game I'm afraid. Red Dead 2 comes out in a couple weeks, and while the overlap between audiences there might not necessarily be huge, that game is going to dominate the mind share of players and game media alike. The only chance I think it has there is with the Switch audience, which is where I'd expect Mega Man's biggest demographic to be anyway. Why would there be an audience overlap between Mario Party, Assassin's Creed and Mega Man? This just shows that the excuses for Mega Man's massive unpopularity is already starting to spring up outside of the tried and true "bad advertising and its Capcom's fault, too many Mega Man games on the market". Here's the good news, Mega Man has a better chance to succeed than Rockman, so here's hoping the west shows up since they've always been the ones to show up outside of the RPGs. Releasing a game like this during a crowded period of the year with other games that are going to get a lot of attention is of course going to have an affect on its sales. Criticisms of Capcom's poor advertising efforts in the past and over saturation of the market are absolutely valid as well, but have nothing to do with this. 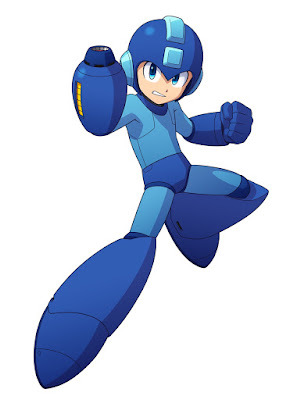 Mega Man as a brand is fine. Not the biggest, not the smallest, so drop the hyperbole of it having "massive unpopularity." The tone of some of the people who post around here is insufferable. Let's be honest, MM in general always had a stronger fanbase here in North America than in Japan, where it gets lumped in with hundreds of other IPs across all multimedia channels (games, anime, manga, etc.). As someone who lived in Japan at the height of the Battle Network releases, I can see how the Japanese gaming public loved their RPGs, which I think was evident by the strong sales of nearly every Battle Network title. Traditional platformers on the other hand see modest sales. I think it was one of the developers for MM11 who said it best that the very nature of platformers play to a more western audience. Let's see if sales ramp up in Japan and what the sales in NA are (both physical and digital) before we assume too much. We may never have the concrete numbers but Capcom will probably be pretty open about whether their expectations were met or not. This is a fair point, which is also why it's interesting that Capcom seems to perceive the series as unpopular here. Not only that, but for the Legacy Collection, it took a bit of time and we didn't hear anything particularly great about its sales, but then all of a sudden we heard it had sold over a million. No point in getting despondent yet. They just need to churn out lotsa DLCs, and they will sell just fine. I just haven't had the chance to buy it yet. Pretty mediocre numbers, hopefully the game sells better in North America. See, here's the thing. Why would the majority of people buy this game physically? There were very little in terms of preorder incentives or socials editinge to make ideal purchase of stuff a short have worthwhile, so logically it would make sense that the majority of sales would be digital. Agree for the most part. I think your largest contingent of physical purchasers will be longtime fans who need to have that physical copy for their collection. Most casual fans and casual gamers in general will probably digital. Not everyone cares about the game box so much that they prefer going to a store and buy it. Why would I do that if I can just sit at home and click a button and viola, I have the game? I know I bought the game digitally. I know a friend of mine did that too. i am pretty sure a lot of people did it as well. i hope capcom will acknowledge if they are pleased or not. at least the game got positive reviews. it is alot of fun. I think it's important to note that while these physical sales are meh the game is number 9 on Japan's eshop. In the America's the second most downloaded game and in Europe it sits at fifth place on their eshop. The Americas is where the money is at for Megaman.